Using Dynamic Yield’s integration with customer segmentation platform Custora, you can sync valuable CRM data segments into Dynamic Yield. Onboarding these proprietary data segments gives you the ability to personalize the consumer experience during every single interaction. Custora is able to surface customer insights, which Dynamic Yield ingests to give you the ability to target site visitors both efficiently and accurately. 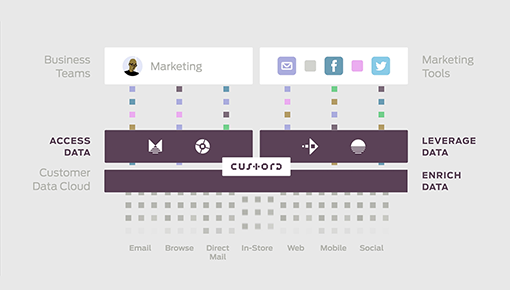 Pull individual and segment-level insights from Custora to generate personalized experiences across channels in Dynamic Yield’s platform.